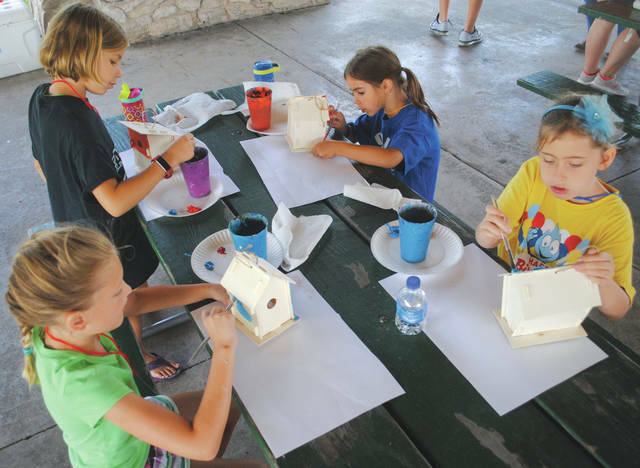 Whitney Vickers | Greene County News Fairborn Parks is continuing to host youth summer camps through the season and most recently hosted Paint Party for young citizens. The young artists painted a bird house then went for a hike to gather sticks, twigs, leaves, pine needles and more to complete their projects. Paint Party camp was led by Terry Perkins, owner of Terri Lynn Art Studio and Gallery on Main Street. 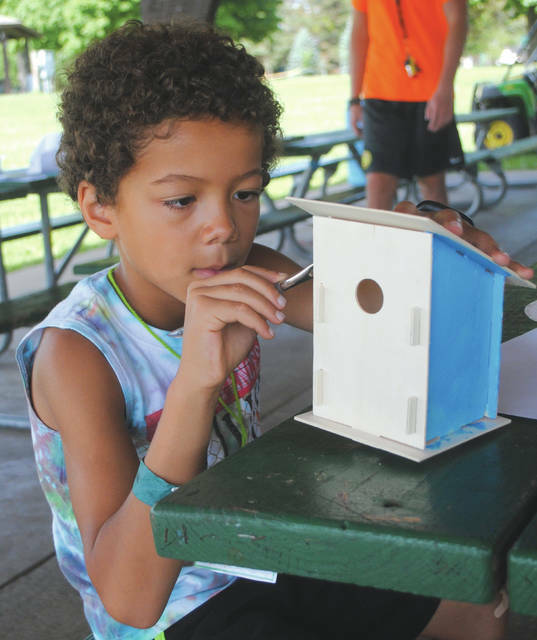 Fairborn Parks is continuing to host youth summer camps through the season and most recently hosted Paint Party for young citizens. https://www.fairborndailyherald.com/wp-content/uploads/sites/50/2018/07/web1_paintparty4.jpgWhitney Vickers | Greene County News Fairborn Parks is continuing to host youth summer camps through the season and most recently hosted Paint Party for young citizens. 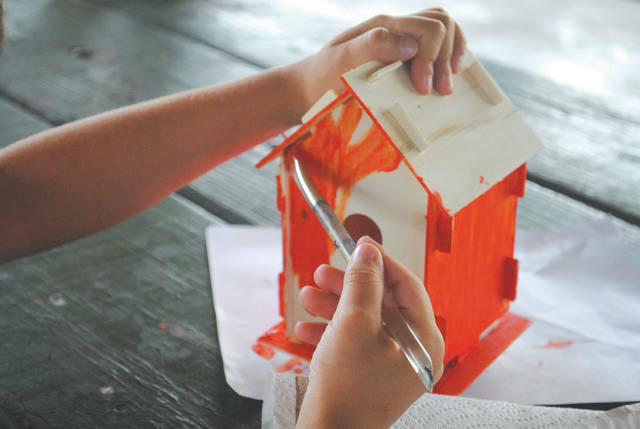 https://www.fairborndailyherald.com/wp-content/uploads/sites/50/2018/07/web1_paintparty1.jpgThe young artists painted a bird house then went for a hike to gather sticks, twigs, leaves, pine needles and more to complete their projects. https://www.fairborndailyherald.com/wp-content/uploads/sites/50/2018/07/web1_paintparty2.jpgPaint Party camp was led by Terry Perkins, owner of Terri Lynn Art Studio and Gallery on Main Street. 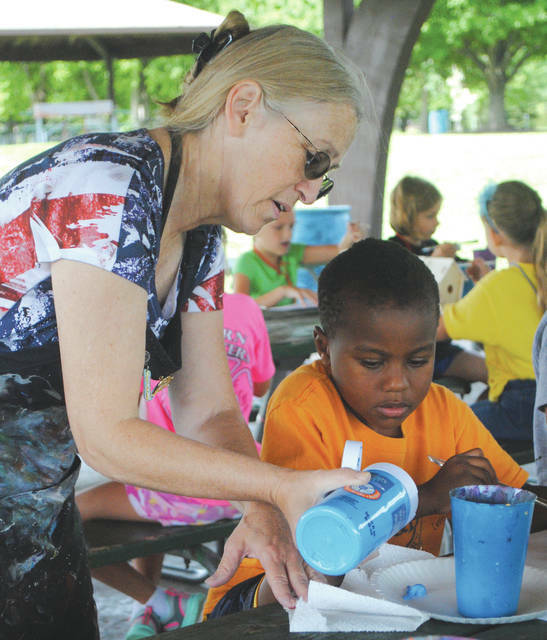 https://www.fairborndailyherald.com/wp-content/uploads/sites/50/2018/07/web1_paintparty3.jpgWhitney Vickers | Greene County News Fairborn Parks is continuing to host youth summer camps through the season and most recently hosted Paint Party for young citizens.